Tired of Plastic Bags Littering the Countryside – San Francisco and Other Communities Are Doing Something About Them! Go down any street in most American Cities and you see old plastic bags along along the streets. Not too many years ago all stores gave you paper bags which would disintegrate in the land fills. These plastic bags will take 1000 years to breakdown in a landfill. Recycling is one answer, and would certainly contribute to reducing the problem. Today only a small per cent of the bags are recycled with rest ending up our landfills and and even in our oceans. 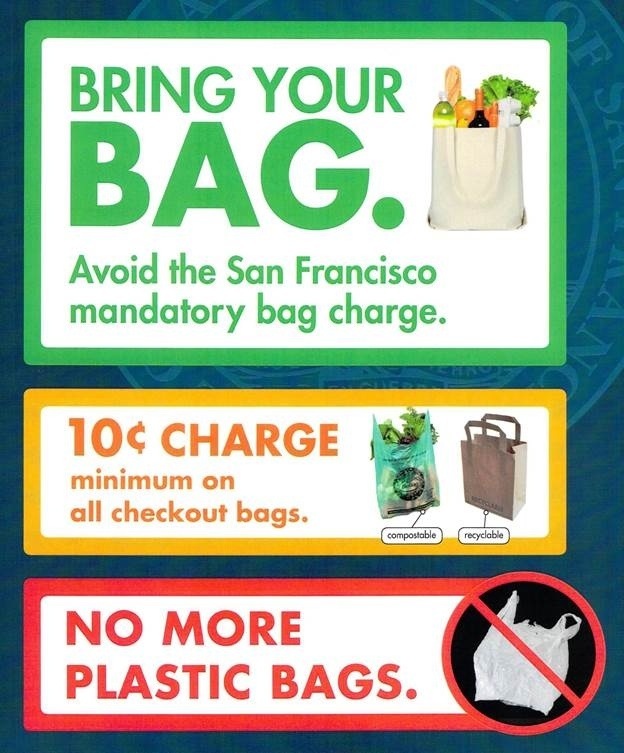 San Francisco has banned plastic bags. You go into a store, and you must furnish your own bag or pay a minimum of 10 cents for a compostable or recylable bag. Perhaps, it is time for the rest of the country to follow San Francisco’s example. This entry was posted in Politics and tagged environmental laws, legislating recyclycling, plastic grocery bags, san francisco on March 24, 2014 by Good Day Illinois.